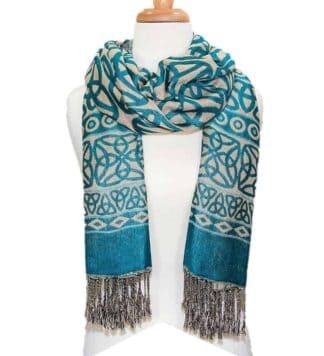 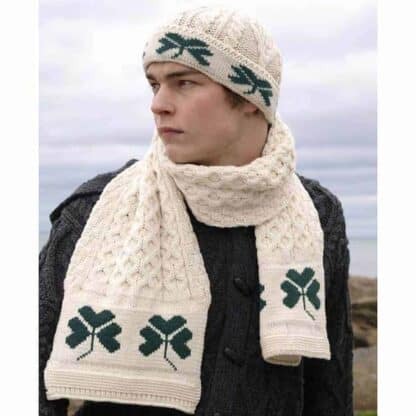 Shamrock Wool Scarf and Hat Set - Made in Ireland - Celtic Clothing Co.
Made from pure wool this Shamrock Scarf and Hat set is a must for the cold winter weather and perfect for cold St. Patrick’s Day parades and celebrations. 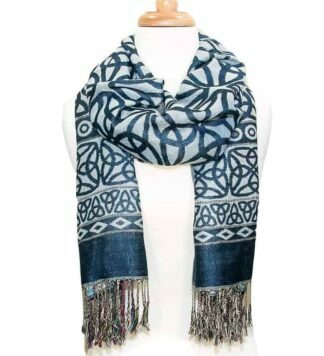 Knitted using Irish cable stitching said to resemble the fisherman’s ropes, hence the often used “Fisherman’s Scarf” name. 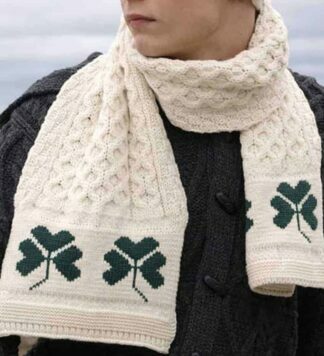 The Shamrock trim is sure to bring with it the luck of the Irish.